This page is to run through the configuration of System Five to work with the CipherLab 8200 handset and its associated applications. For this to work, the handset MUST already be working with Microsoft Windows. If this has not yet been set up, please see the page How to configure a CipherLab CPT8200 to work with a Windows PC. This section runs through the options to configure in the System Five database. The settings in the Setup Wizard are terminal specific, so make sure the correct terminal is being set. The simplest way to do this is to log in on the computer that has the hardware set up on it. 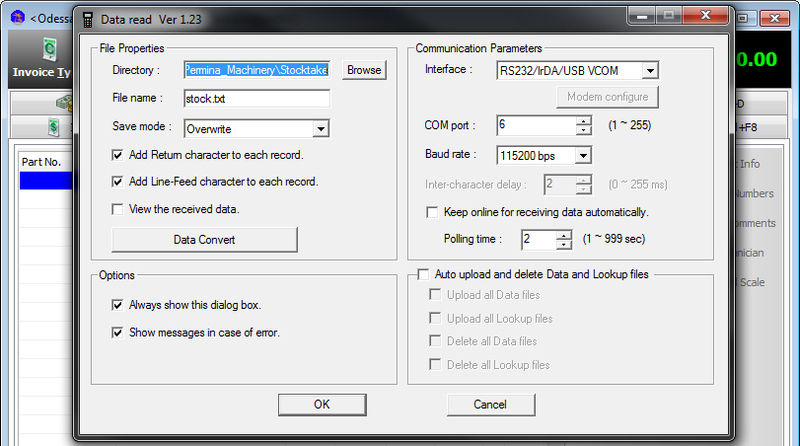 This section runs through the options to configure the Data Read program from CipherLab. All the step in this section should only need to be done once as the Data Read application keeps it's own settings. 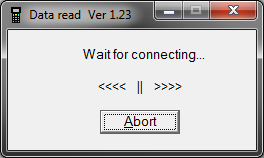 Click the OK button to set the program to listen. This will save all of the Data Read programs settings. This section runs through a test of the configuration. Please make sure that there is at least one barcode scanned into the CipherLab handset before attempting these steps. 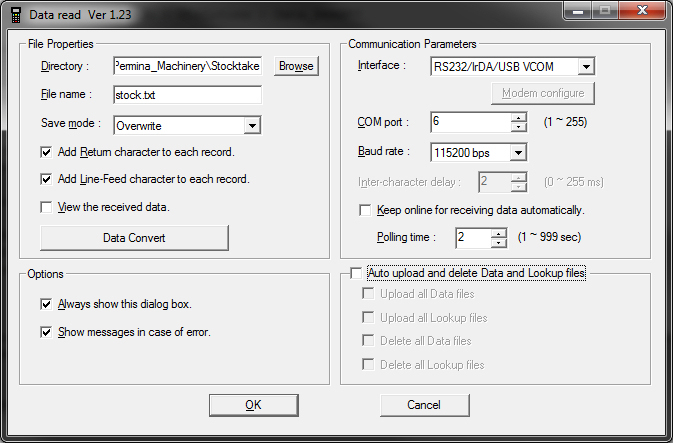 The Part Find should be displaying the content of the handset dump. If the same part has been scanned multiple times, System Five will amalgumate the quantities automatically when performing these steps. The quantity scanned is visible in the Multi Select column on the Part Find Select tab. This section runs through putting all the confiuration into use. Before going through this sect make sure that there is some data in the CipherLab handset to be downloaded into System Five. It's possible to walk around with a customer and scan items and enter quantities that are to be added to an invoice. 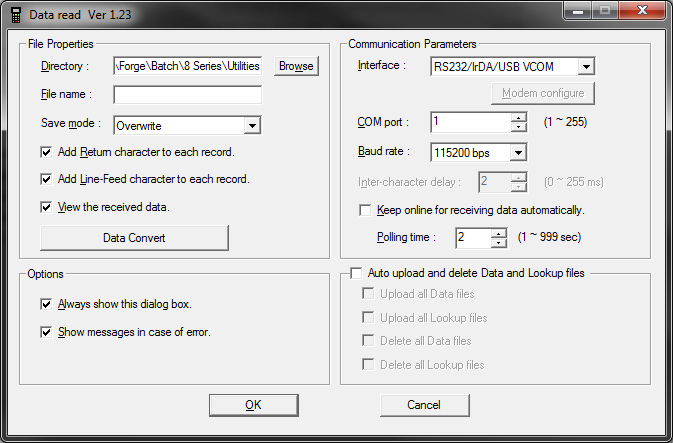 Depending on how old the handset is it maye require different version of the Forge Aplication Generator software. This is the program used on a Windows terminal to create the application used on the 8200 handset.